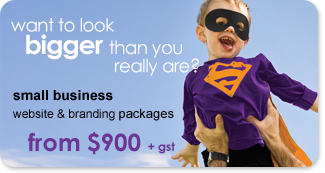 Sydney's Art Attack Web & Graphic Design was first established in 1990 and has since grown to provide design services for a huge range of Australian organisations from large corporate and government clients to small-medium businesses, schools, community, sporting and charitable groups. Art Attack prides itself on specialising in both web design and graphic design, providing a full range of services in-house. It is unique for a company to have the experience and expertise we do in both the electronic and print mediums, allowing us to provide a one-stop-shop where we meet your web and print requirements as a whole and ensure they work together - Two Challenges - One Solution. Our point of difference however is that we ensure your website or graphic/print project is technically best practice, looks truly professional with great design and just as importantly, is usable for your customers - because we are experts in each of these three areas! We believe IT, design and usability should all work together for the best possible result for your business. To achieve this, you need a team who are more than just IT professionals or graphic designers. You need all your staff trained, experienced and working together in IT, design and usability, and a company that makes it a part of all we do. Art Attack prides itself on this. You won't find may other companies anywhere who offer our usability expertise as just a free part of the service. Our services range from corporate logo/identity and brand development, brochure and business stationery design through to websites, email marketing, e-commerce 'shopping carts', website optimisation (SEO) and multimedia animation. For more information, choose from the list of Services under the main menu above or contact us to discuss your specific needs with no obligation. Our services are continually expanding with industry changes, so talk to us about how the lastest technology can help your business. Established for 21 years, we are proud that our client list is long and varied. It includes well known names such as Westpac, 3M Australia and QBE Insurance, SOCOG, Diabetes Australia, TAB Active and NSW Police, as well as many small-medium businesses and organisations from florists to smash repairers, engineers to schools. For a list of the clients we have provided design services to recently, please visit our client list. We are sure you will be impressed by Art Attack's expertise and professionalism, so please phone us on 1300 88 40 14 or email info@artattack.com.au if you are serious about giving your business that professional edge. Our company was founded by husband and wife team Paul Ryan and Fiona Morsink-Ryan, who still own and run the business. With over 25 years experience in both print and web design, Paul is one of the few 'pioneers' of the web in Australia still working in the industry. He is passionate about usability - designing things right for you and your customers, and still works with every client to ensure everything about your project is clear and upfront before you start, and the end result is the best it can be. Fiona has extensive experience in communications, promotion and design, while her writing and information design skills in particular have helped many clients ensure their message is as clear as possible. Fiona has numerous tertiary qualifications in communications and related fields, and has also just completed further qualifications in marketing, focusing on marketing products and services in the electronic age and winning awards for her work. Fiona has also written a series of articles available free here on Art Attack's website covering a range of topics relating to online business, SEO, writing and design basics. See our Info & News Blog to read these informative articles. In 2008 Art Attack moved to brand new offices in the Norwest Business Park in Sydney's Hills District (Baulkham Hills/Castle Hill), offering a new level of professional website and graphic design services to in Sydney's Hills district, North West and beyond.